This is one of my favorite ginger plants, due to the striking beauty of the leaves. This ginger has very dark brownish green (almost black) leaves that light up when backlit. 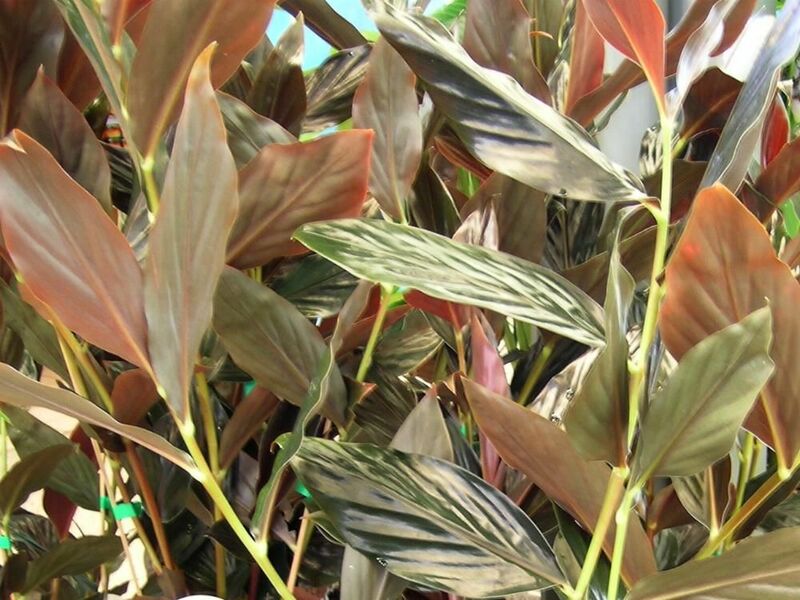 Very tropical and easy to grow ‘Midnight Black’ Hybrid ginger displays glossy, deep chocolate-black foliage touched with subtle hints of purple and deep green. A ginger with stunning black foliage and an lacquered appearance, Midnight Black Ginger can grow to be 4 foot tall with a 2 foot spread. In cooler climates, height ranges from 2 to 3 feet tall. You are bidding on small bare root plants with vigorous root systems 6-12 inches tall with * leaves grown in Hawaii. Hardiness Zone – 8 – 11. Best growing temperature is 65-95˚ Fahrenheit. Bloom – Bright sulfur yellow that fades to pink. Mature Height - This plant will grow to 12-16” tall. Sun – This plant prefers shade. Water - Keep soil evenly moist. Fertilizer – Best is water soluble balanced fertilizer. This plant is a medium feeder. Soil – Best in well draining professional mix. 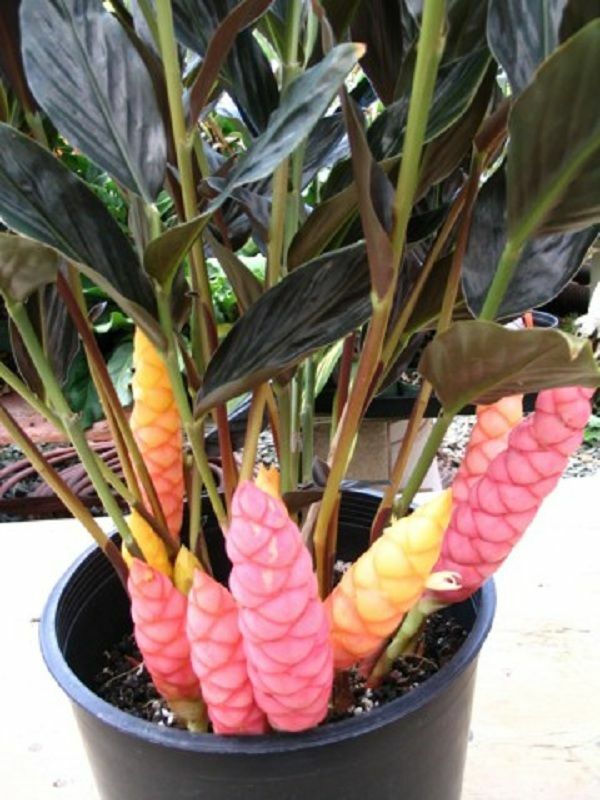 Midnight Black ginger's flowers are spectacular yellow/red basal cones and look like small pinecone ginger flowers. This plant also has a light, spicy ginger scent. Midnight Black Ginger likes shade to full sun and moist soil. Will also do okay in full sun but green becomes very light, making the dark coloration less dramatic. 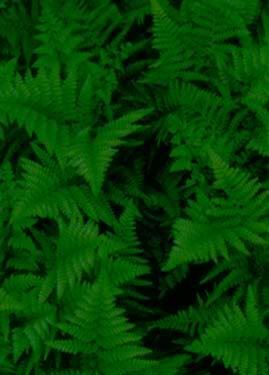 Does well in partly shady areas with excellent drainage. Midnight Black Ginger grows well in pots or in the ground, indoors or out. This Ginger is a herbaceous tropical perennial with a tidy compact growing habit . Blooms are a sulfur yellow basal inflorescence that fades to a pale pink. Spectacular bright yellow cone shaped bracts appear at the base towards the end of the growing season. In the heat of summer, large, cone-like bracts rise from the base of the plant. The bracts are yellow blushed with pink, and bear small, cream-colored flowers. The Midnight Black ginger is a heavy feeder and grows best when fertilized regularly. The elongated leaves are held alternately on short, fleshy, light green stems, and are fragrant if crushed. Grow this tropical beauty in full to part sun and moist, fertile, well-drained, acid to neutral soil. Midnight Black is perennial and evergreen in frost-free climates, but will die to the ground if exposed to light frost. Use ‘Midnight Black’ as an accent in container compositions and tropical plantings, or grow en masse as a shady groundcover. Its cut foliage adds an exotic note to floral arrangements. Midnight Black ginger's (Zingiber malaysianum) shiny leaves are a deep, almost black, purple-bronze. "Midnight Black" is like a common name. It is not a cultivar name although it has been used as such. It is a rhizomatous perennial endemic to the southern State of Johor, Malaysia. Zingiber malaysianum was formally described only in 2002. The inflorescence arises on short stems a short distance from the stems from the rhizomes. The bracts are sulfur yellow and turn a bubblegum pink as they age. The cream colored true flowers appear from between the bracts. Zingiber malaysianum does not have a natural winter dormancy; thus, it is evergreen. This makes it more vulnerable to cold weather and it must be protected in the winter except in frost-free climates. Some state that it will grow well in Zone 8; however, if the soil is kept too moist in cool weather, the rhizomes are prone to rotting. Midnight Black will grow in Zone 9; however, Zone 10 provides the optimum environment. Temperatures below 50 degrees F may cause it to not bloom. Needing well drained soil, it also must be provided with regular moisture in its active growth period in the summer. If the leaves turn a slight yellow, it is an indication the plant has been in a location that is too cold for it to thrive. Black Ginger "Midnight'" was the last ginger to emerge after dying back in the winter.